This fall marks her 40th anniversary hosting NPR's Fresh Air. 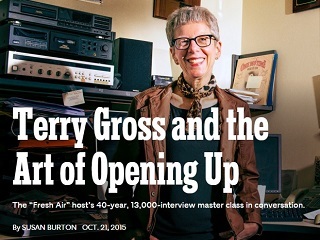 For 40 years now, Terry Gross has been meticulously getting to the bottom of the who, what, where, when and WHYY. The WHYY being the Greater Philadelphia public media provider through which the 64-year-old host of NPR’s Fresh Air makes it all come together. The concept of “national interviewer” is an interesting one. On TV, it could be argued that both Johnny Carson and Larry King, in their primes, were also such figures. 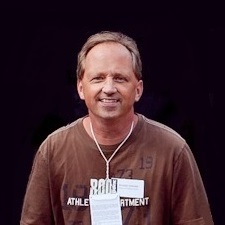 Today, on the small screen, it’s not so much a time of the “national interviewer” as it is of a more interchangeable “national interview.” Whoever lands the big get – most recently Diane Sawyer speaking with Caitlyn Jenner – is for that moment the focus of attention. Read the full NYT magazine profile here.